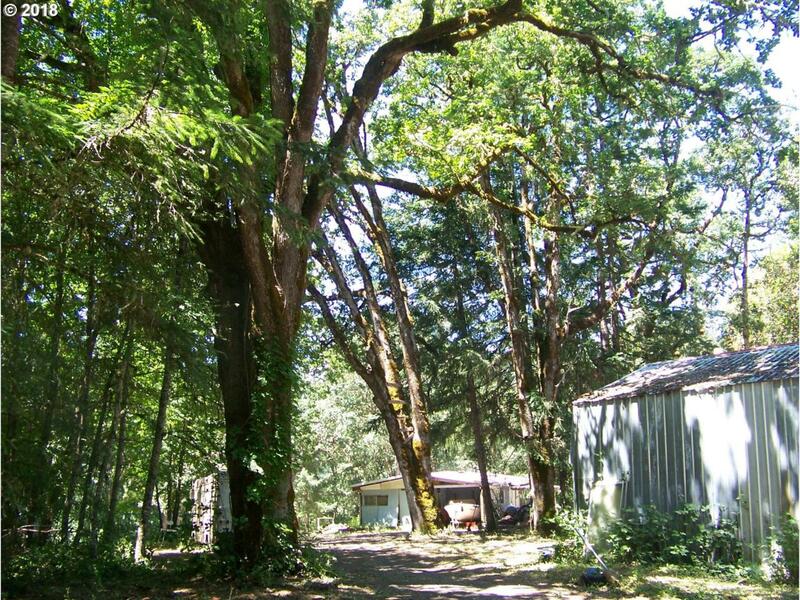 Rare opportunity to live in the country among Giant Oaks on Very Private, Exceptional dividable 5.14 acres. Only 1 mile to Hwy 99 west halfway between Corvallis and Eugene. Great Well and Septic system. Shop and Home site near level with more area to build. Full RV hookup. 36 x 36 Shop. Mobilehome is uninhabitable. Upper site has own power and phone. Lots of room for gardening and pets, including horses.Come and see it. Make it yours!